Over the weekend, we celebrated the birth of a moth. 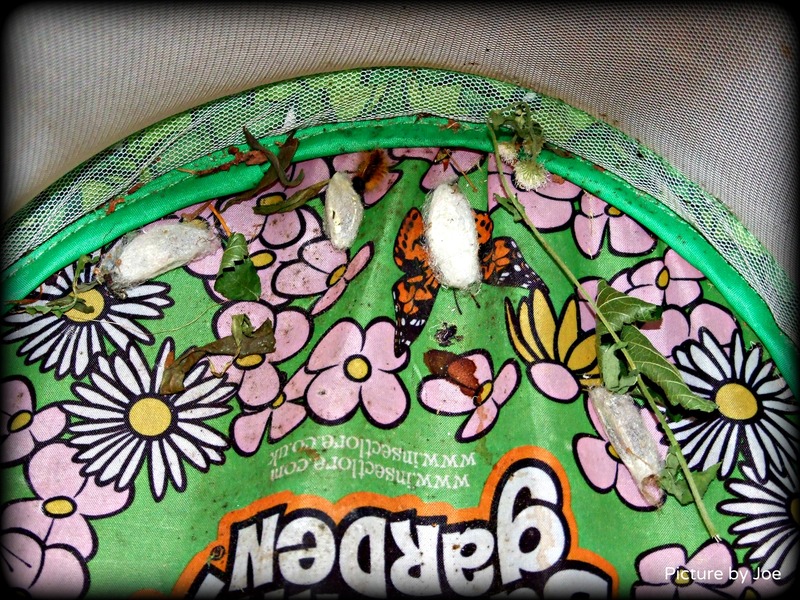 Joe wanted to take a picture of the remaining cocoons to share with his Grandma, his Grandpa, and his former day-care provider. Then, I decided to share the picture, he took, with you. Hopefully, we’ll have more moth births soon. Thank you, Ms. Kim! My Mom is the swellest Mom ever for letting me use her camera. She kinda rocks. Thank you, Maxi. He grinned ear to ear when he noticed I shared his picture with ‘the world’. That’s amazing. He has your eye for composition, Lenore. Patti, I would not be surprised if Joe started up his own blog in the future. Stay tuned. I used to do this same thing when I was a bit younger! And by a bit younger I mean… back like… before electricity. When I was actually younger.